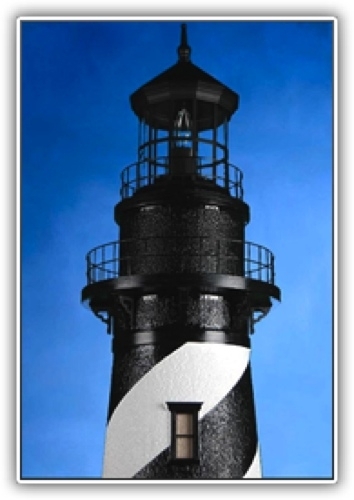 Deluxe Custom Crafted Lighthouse: This Custom Crafted Cape Hatteras is meticulously handcrafted from synthetic stucco and masonry over a solid foam core making it virtually impervious to the elements. 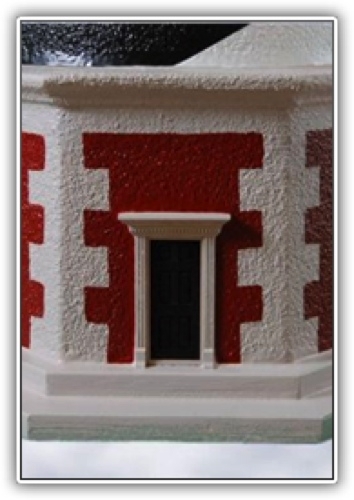 Our lighthouses feature real decorative windows with beautiful curtains in each window and a highly detailed six panel door. Every yard & garden lighthouse is completely hand-painted. 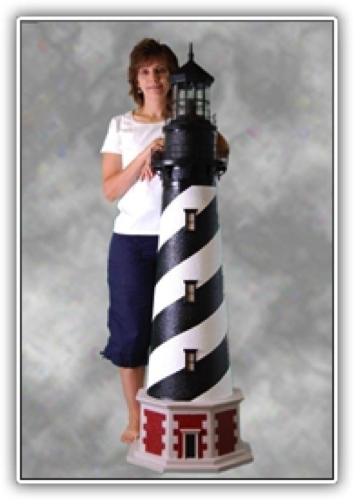 We specialize in replicating the actual lighthouse but we will custom paint any of our lighthouses to match your personal choice or decor. 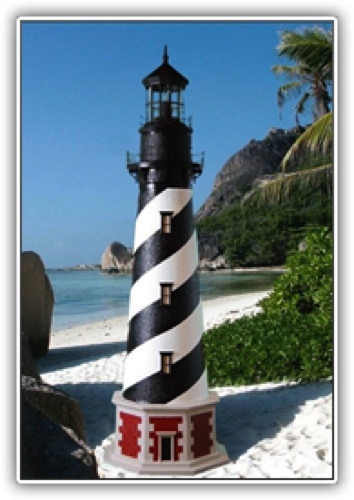 Each lighthouse comes with a standard light or you may upgrade to wide array of Accessories listed below.